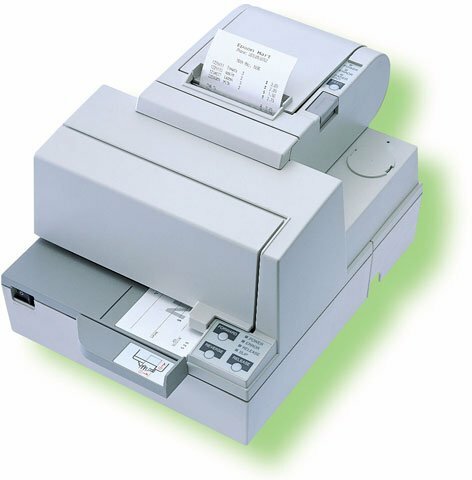 The speedy yet quiet TM-H5000II boasts a thermal printhead for beautiful receipts and a dot matrix printhead for slips as large as A4 size. This high-performance, multifunction printer supports a wide variety of applications. It also sports a user-friendly design, including such standard features as Epson's EZLOAD- drop-in loading system for roll paper and a time saving auto-cutter that busy operations will appreciate. The Epson C31C246012 is also known as Epson POS Products	EPS-C31C246012	.